I love “Hello, World” benchmarks. They are stupid and meaningless. I love it when someone shows how fast is his web server on the local machine. 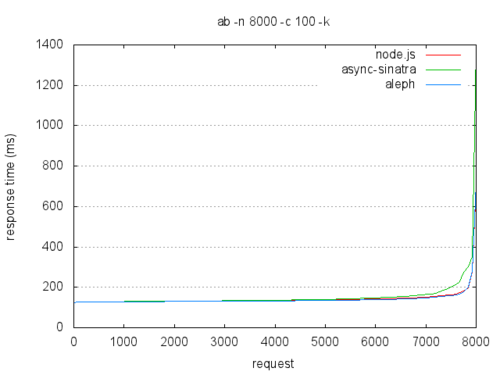 Let’s see a comparison between node.js, async-sinatra and aleph all running apps on heroku free plan.